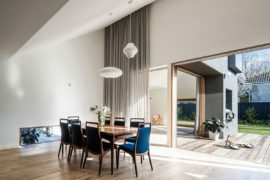 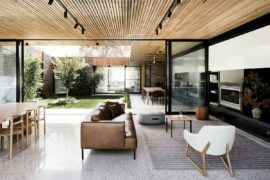 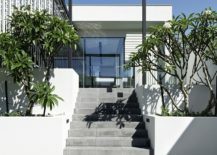 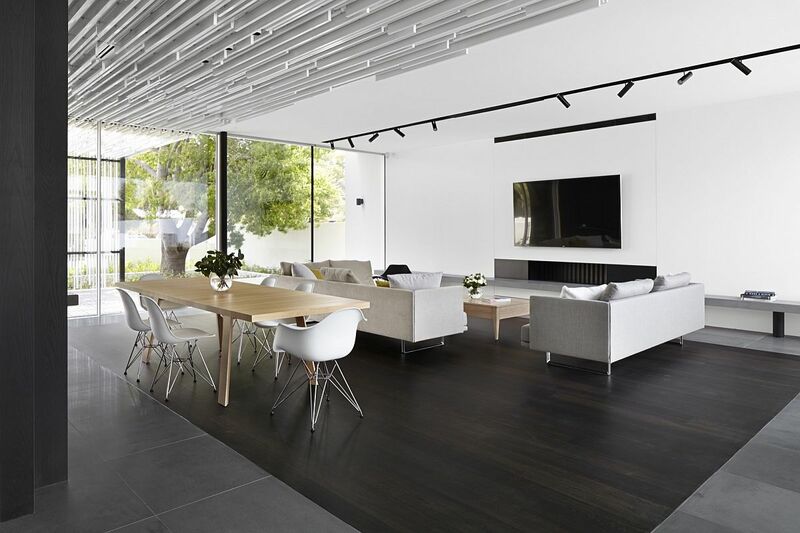 In a world where homeowners are increasingly moving away from strictly minimal design and embracing interiors with a lot more warmth, textural contrast and organic beauty, this house in the suburbs of Perth definitely takes a different path. 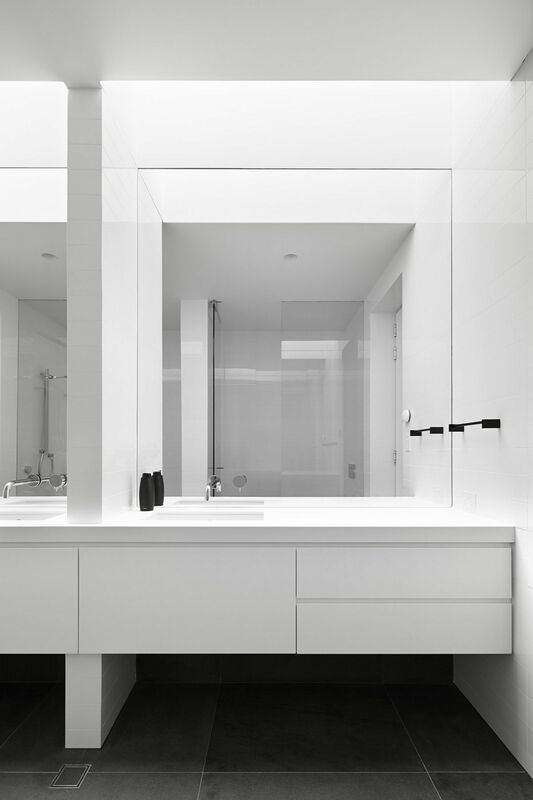 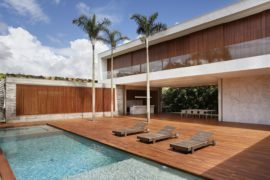 Its unmistakably minimal form relies on an effortless flow of spaces where the interior and the exterior become one – both visually and functionally. 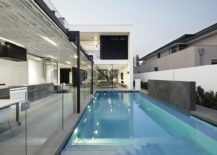 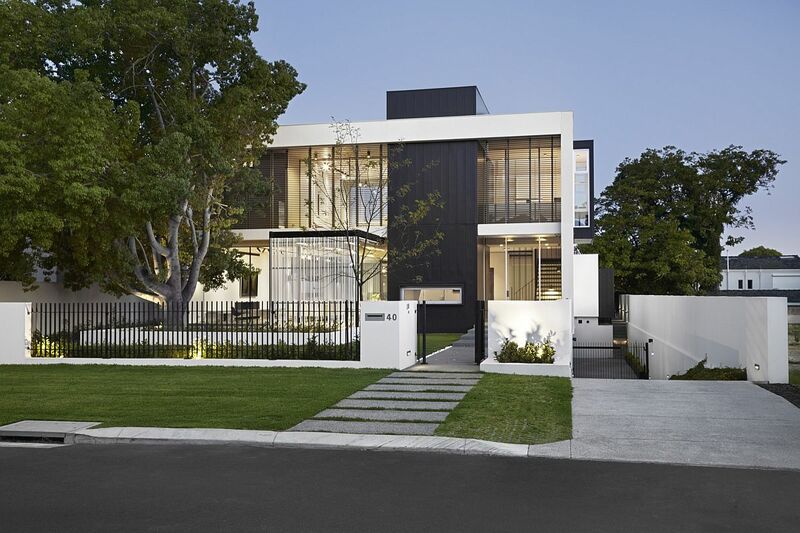 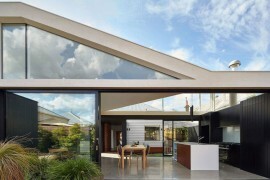 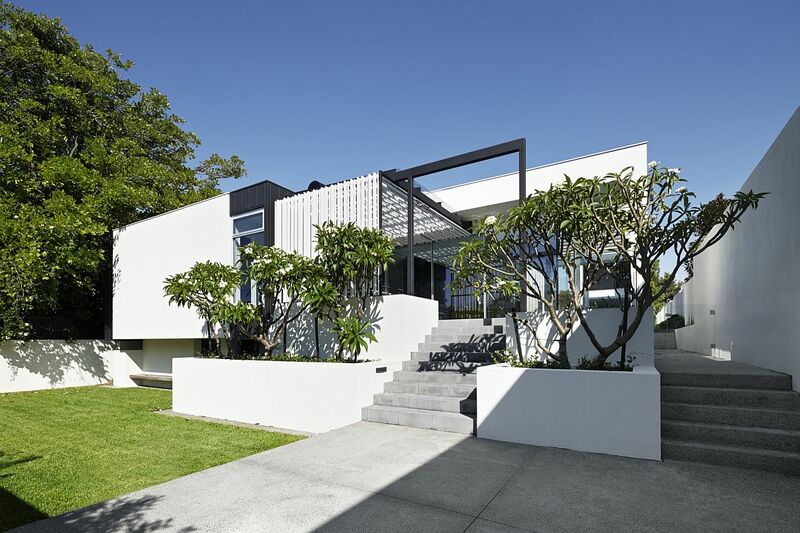 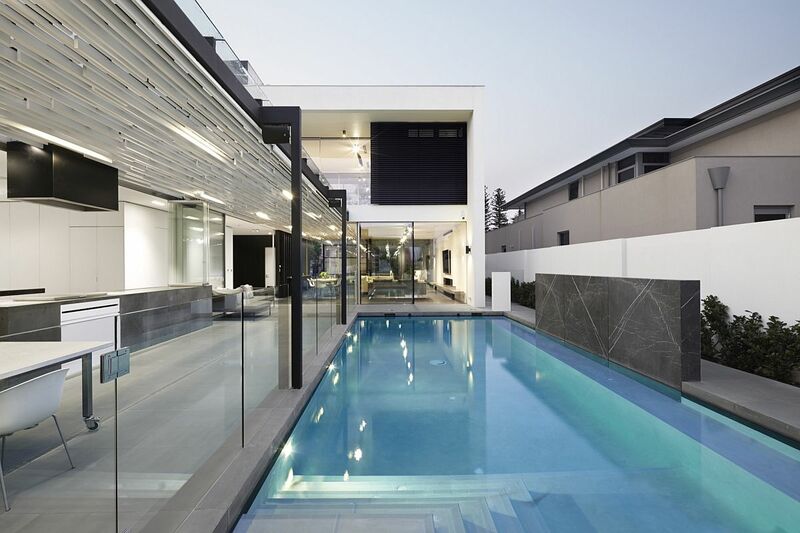 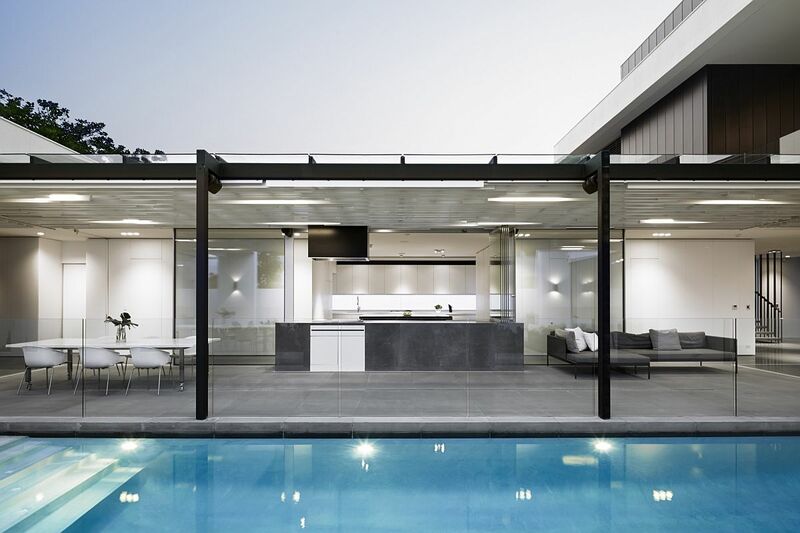 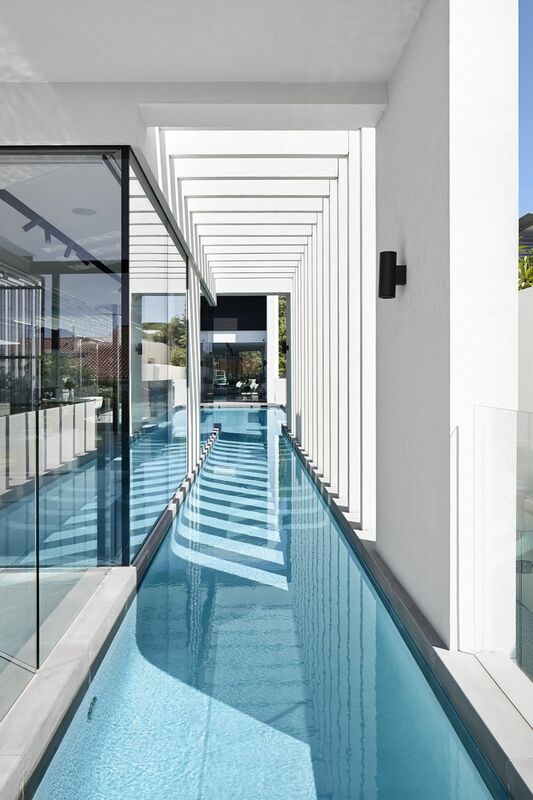 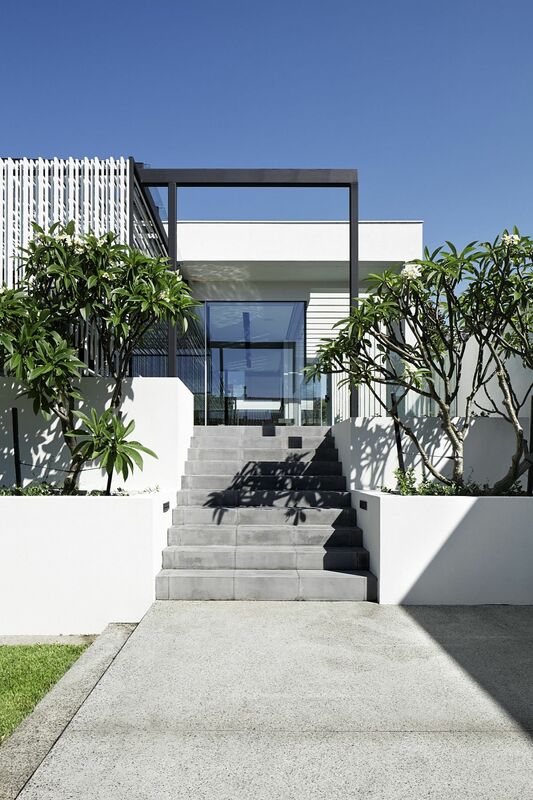 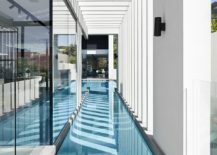 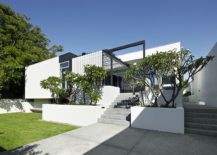 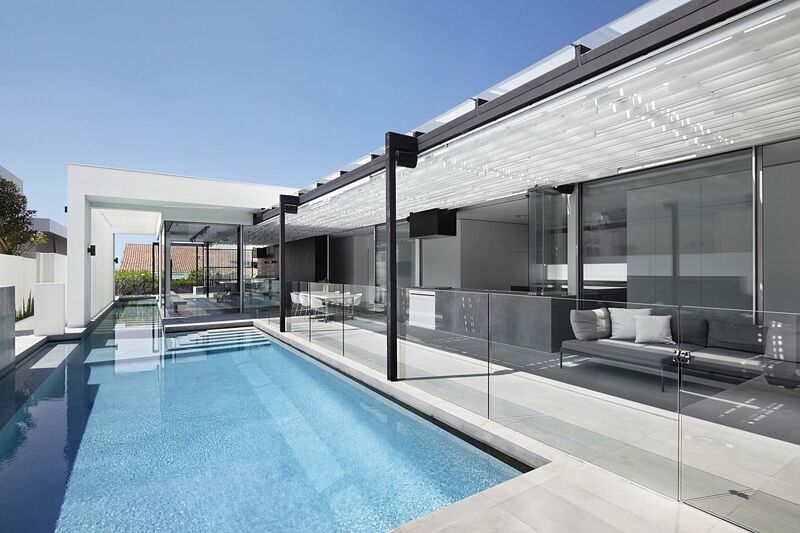 It is the pool and the central courtyard of the sweeping Gallery House designed by Craig Steere Architects that steals the show and becomes the focal point of a living area and kitchen that doubles as spacious social zones. 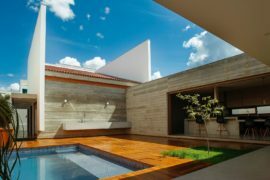 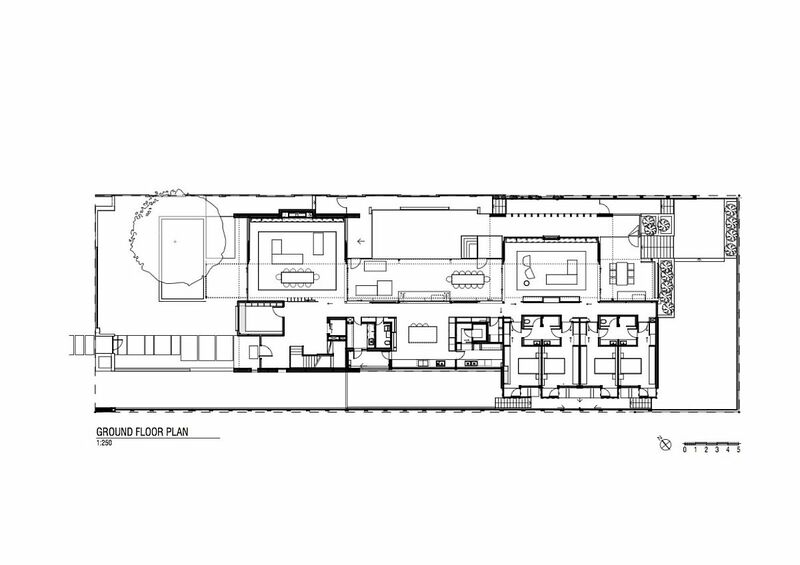 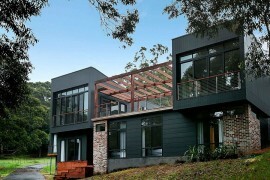 The large residence was designed for a modern family with four boys and it is the rear wing of the house that holds the four bedrooms for the teenagers along with additional living space and and outdoor hangout. 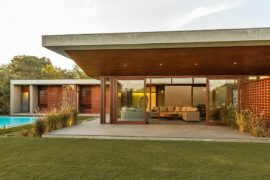 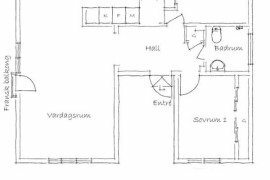 It is the entry pavilion that contains the main living space with the master suite above and leads to the kitchen and dining wing. 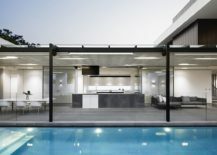 All the socials zones flow into the courtyard and pool deck where the family can come together after a long, hard day.